Athene Jobs – Providing the best students in the world with the best jobs in the world. 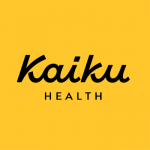 Kaiku Health Kaiku Health is a digital platform for patient-reported outcome monitoring. Our mission is to improve quality of life through health data science.